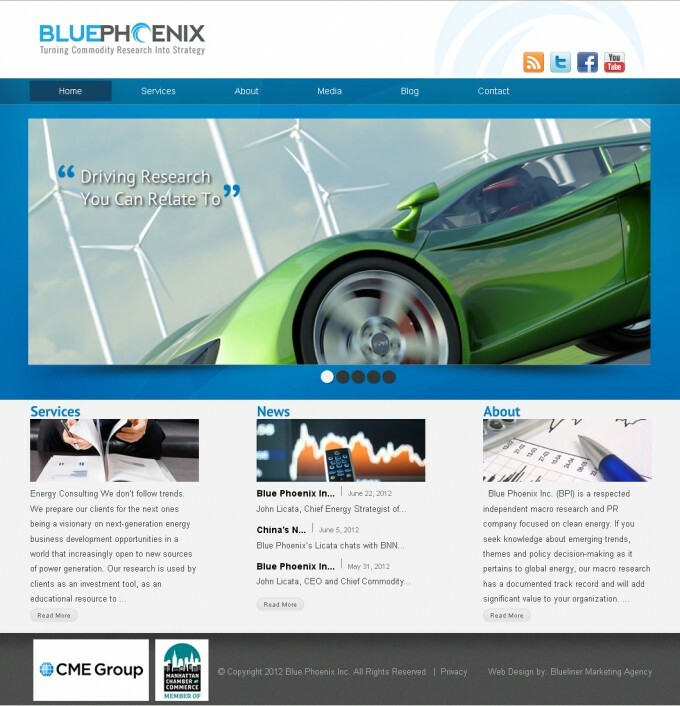 Blue Phoenix Inc, a respected independent research and PR company focused on clean energy. Through our top-down market-first strategy, we add value to your business by delivering innovative insights as we discover new technologies in energy, which leads initial waves of market interest. As a former trader, I know just how important timing is for our clients. Every day I emphasize to my team the need to be ahead of the curve in all aspects of our research content so our clients can gain the competitive edge they need. 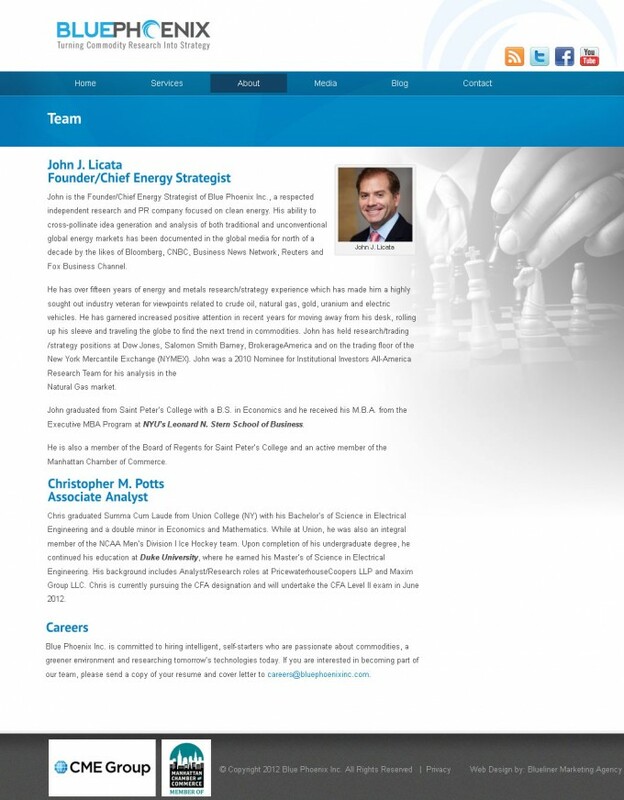 I am confident that as a client, you will see the benefits our insights, analysis and marketing can have on your overall strategic decision-making process. 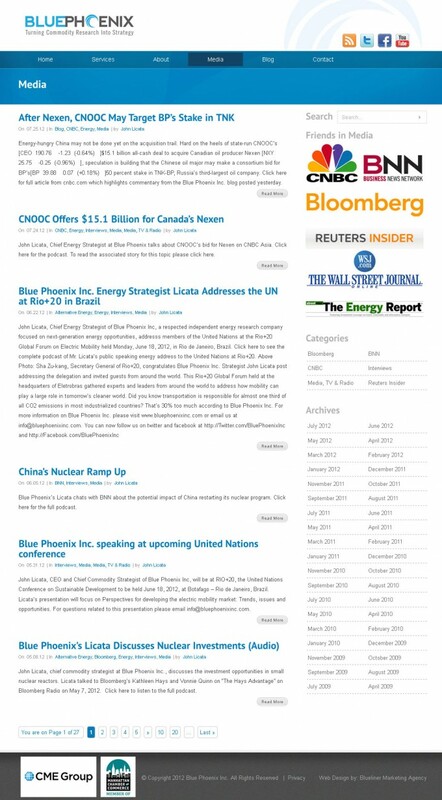 Leveraging Blue Phoenix’s internationally recognized energy research, our premier network of contacts and credibility within the commodities space, we can also identify customized strategic PR opportunities and bridge the gap between Wall Street and Main Street as a trusted partner that actually understands our clients needs. >The commodity landscape is forever-changing, yet through volatility comes market discontinuities and inefficiencies which present compelling investment opportunities. At Blue Phoenix we look forward to getting away from our desks, rolling up our sleeves, and finding the next source of alpha generation across the commodity spectrum. We are a credible source for market intelligence with a documented analytically track record in commodities.